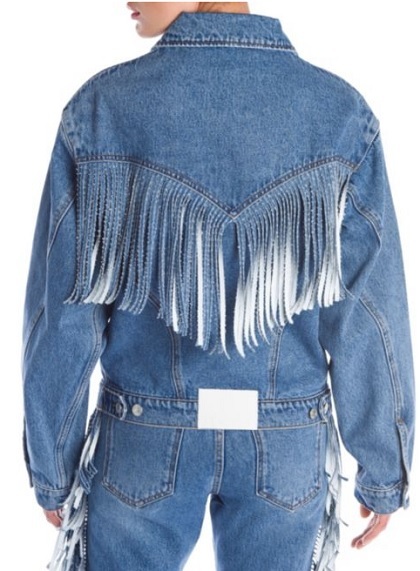 Fringe adds Western-inspired flair to denim clothing. Fringe trimmed denim jeans in five-pocket style. 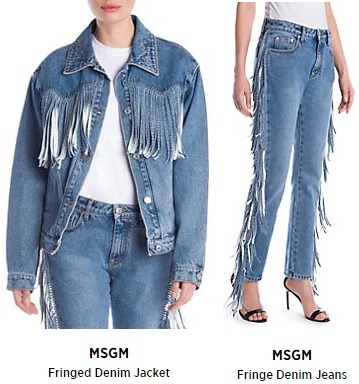 And a denim fringed jacket. Are you living on the fringe of fashion? Shop for fringe denim fashion at Saks Fifth Avenue. 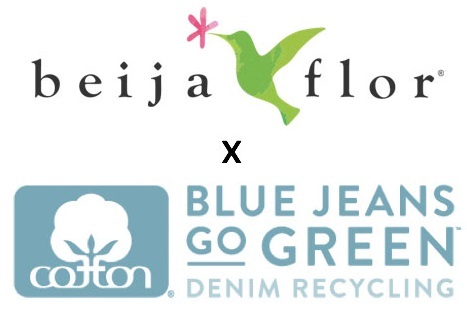 Visit the Saks website. Above is from fashion brand MSGM.